Fire breathing dragons are no match for the Dragon Knight. Play with this set on its own or combine it with any other Playmobil set. 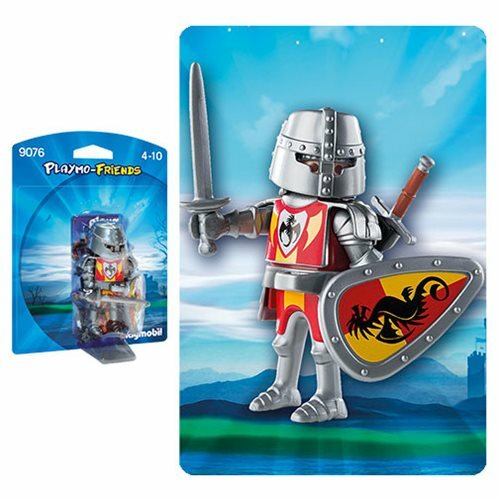 Set includes knight, shield, swords, and other accessories. Recommended for ages four to ten.Warning. Choking Hazard. Small parts. Not for children under 3 years. Ages 4-10.